Emirates Team New Zealand today scored their fourth point in four races of the Louis Vuitton Cup in San Francisco, the America’s Cup Challenger Series. 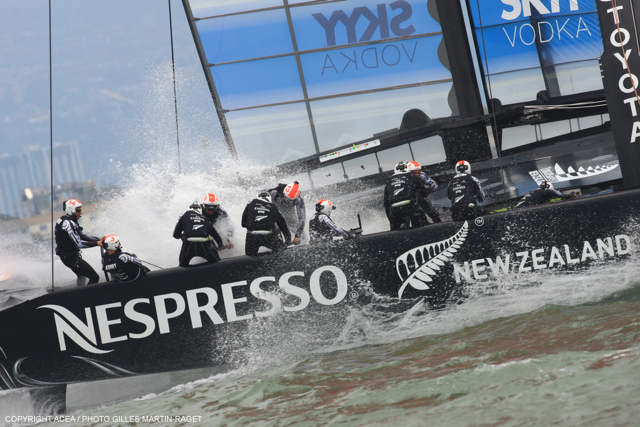 Skipper Dean Barker and the Kiwi crew sailed the course unopposed as their scheduled opponent, Artemis Racing Team, is still assembling their AC72. Yesterday, the Swedish team said they hoped to be on the water by next weekend. 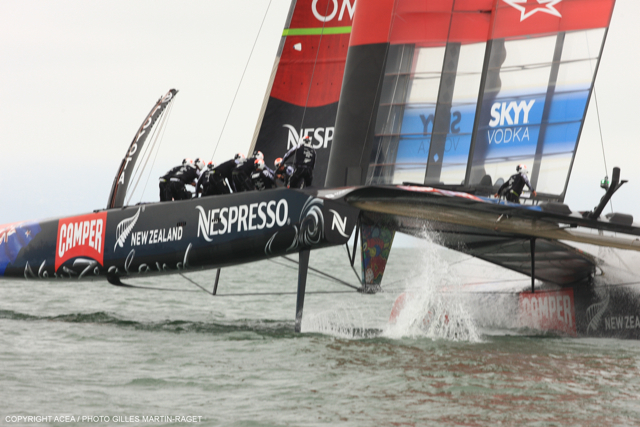 Emirates Team New Zealand sailed the shortened five-leg, 9.89-nautical-mile America’s Cup course in 25 minutes, 56 seconds and reached a top speed of 40.62 knots on the final reaching leg to the finish line.